January 2008 "Thurston . . . the man who has fooled over fifty million people, explains his black magic over the air." 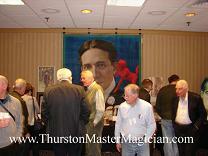 February 2008 "Mr. Thurston Always Has Fun With Hotel Waiters. - Gold Fish, Etc., Appear In Plates and Glasses, and Other Things Equally Remarkable Happen." Since TMM.com is located in Brooklyn, New York I thought I would highlight a couple items from when Howard Thurston was in Brooklyn! We even added an extra item from when Harry Kellar was in Brooklyn! April 2008 "Thurston Tricks Not Meant for Home Use." CLICK HERE to find out about this great article from 1927! May 2008 CLICK HERE to find out more information on Howard Thurston's feather flowers... as seen in a photo with Thurston's friend and assistant George White! These flowers used to be on display in the Magic and Movie Hall of Fame in Las Vegas! June 2008 In honor of Father's Day we have a great item for you! CLICK HERE to find out more about this great program signed by Howard Thurston to his daughter Jane Thurston! July 2008 CLICK HERE to find out more about Howard Thurston's production box! The box used to be on display in the Magic and Movie Hall of Fame in Las Vegas! August 2008 CLICK HERE to find out more about this very important photo! The story behind this photo is absolutely great! September 2008 CLICK HERE to find out more about Howard Thurston's Magic Box of Candy! October 2008 CLICK HERE to find out more about Howard Thurston's Movie Jecktor and the Miracles of Magic Volumes 1 and 2. 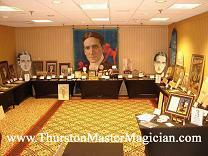 November 2008 Rory Feldman, creator of ThurstonMasterMagician.com and creator and founder of the Museum of Magic put on a Howard Thurston display at the 2008 NEMCA Convention in Westborough, Mass. The Thurston display consisted of approximately 75 to 100 pieces from the collection, which features over 13,000 items in total. 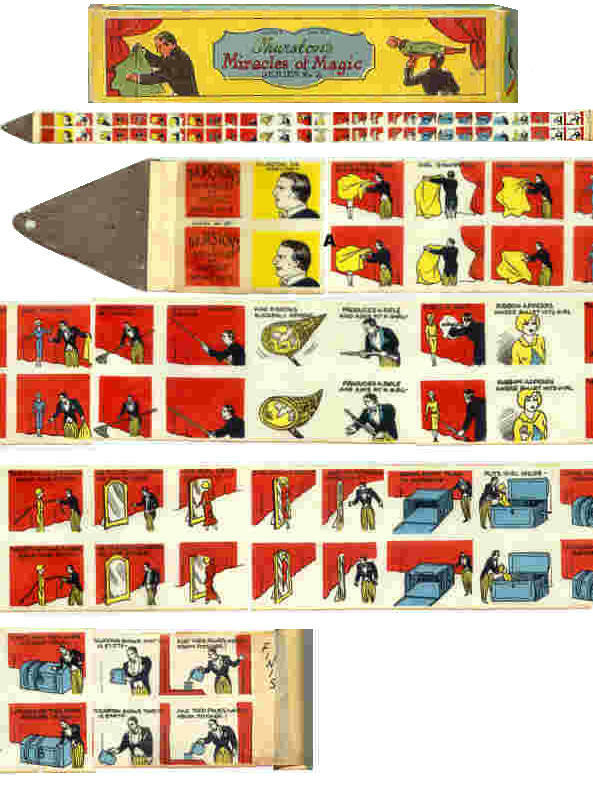 You will notice that there were a lot of items that were or will be "Items Of The Month". CLICK HERE for more information. December 2008 CLICK HERE to find out more about the 1911 Strobridge Lithograph Do The Spirits Live?